To build a complete list of every species of macrofungus in Santa Cruz County. To compile six kinds of basic biodiversity information for each species - photos, microscopic data, DNA barcode, seasonality data, distribution map, and ecology. 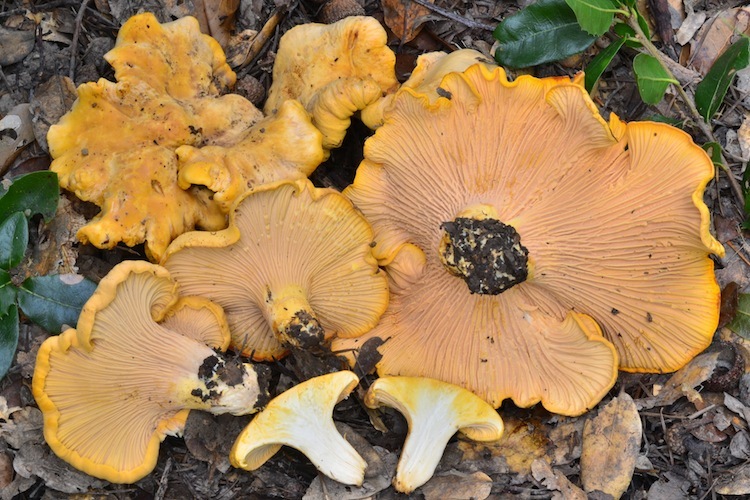 Use the iNaturalist and Mushroom Observer websites to keep track of the mushrooms that you find - we use the information in these databases to make the list of fungi in Santa Cruz County more complete, and to draw maps illustrating where each species live. Taxonomy - We seek to gain understanding and publicize information regarding the diversity and identity of the macrofungi found in our area. In particular, we are interested in making molecular data relevant for field mycologists, and making the knowledge base accumulated by field mycologists available to lab-based molecular biologists and community ecology investigators. Status - We are coordinating and implementing citizen-science data collection projects to establish estimates for the current frequency at which each species occurs in our county, as well as to identify long-term trends, especially as needed to inform conservation efforts. Distribution - A complementary set of projects will enable us to map the fine-scale geographic patterns of occurence for each species, especially as they relate to the biotic and abiotic factors that shape our county's different habitats. We believe that a fruitful partnering between professional researchers and citizen scientists is the best way to achieve our goals, and that creative, novel and careful implementation of modern web and mobile tools will accelerate our progress. If you have any questions, comments or want to help, please contact us.